Australia in India – How is this even possible? I thought rebuilding was going to be much, much, much more painful but Steve Smith and his unlikely bunch of tough hombres have waltzed into India and played better than many of their previous compadres. I wrote on 22 December 2016 that if history is anything to go by, a significant rebuild is required and a period of considerable pain is on the horizon. I have vivid memories of the rebuild the Australian Cricket selectors undertook in the late 80s and could see no other outcome than a long rebuild around Steve Smith, David Warner and Mitchell Starc. The only positive note is that there isn’t any World dominating team in this era in the mould of Clive Lloyd’s West Indian team or Steve Waugh’s Australian team. India is now (and may have always been) one of the great tours in the World. In Australian minds, certainly those born in the 60s or 70s, the great tours are the Ashes and the West Indies, however, the tour of the West Indies has materially declined in interest every year since Brian Lara retired. He was the last person standing after those dominant West Indian teams. Once he stepped aside the mystique slowly eroded. Into the vacuum stepped India. India is one of the hardest places to play for Australian Cricket teams. For the longest time it didn’t even seem possible that an Australian team could win in India. Firstly, the conditions are diametrically opposed to most of the Australian venues. Only Sydney spins at all and the bounce is still very Australian. The low slow variable turning pitches of India might as well have been mine fields as far as Australian batsmen were concerned. And then there is the penchant for Indian teams to rack up unbeatable totals against our bowling attacks. The options seemed to be lose or draw but rarely win. Most Australians just wanted the team to be competitive in India. Most thought it would be a rout. The first test was a shock to the system. Steve O’Keefe wasn’t really on the radar at all. Shane Warne didn’t rate him. All of a sudden he had cleaned up the Indian team with his subtle variation. Australians dared to believe. Taking a narrow lead after the first innings of the Second Test, Australians again thought perhaps this series could be over in one day. Then the final day capitulation was closer to expectations. Many thought the Australian team had put off the inevitable but India would now sweep to a series win but the first innings of the Third Test once again showed the tenacious spirit of this team typified by the last day heroics. And now the Fourth and final Test is delicately poised on day 3. Regardless of the outcome, the Australian team has shown much more fight than expected. Perhaps a long rebuild isn’t necessary after all? So is this team for real? Steve Smith is immense and may be the best player of his generation. At only 27 years of age he has accumulated 5123 runs at an almost ridiculous average of 60.98. Probably the most pleasing thing is he scores runs in all conditions in all situations. He has composure and is rarely, if ever, overawed. He is the perfect captain to build a team around. David Warner is world class but prefers home conditions. Australia could have a world class pace attack if it could only keep them on the field. Pat Cummins, Mitchell Starc, James Pattinson and Josh Hazlewood could be the nucleus of a devastating pace attack but Australia is lucky to have two of them at any one time. Matt Renshaw and Peter Handscomb could be players of the future. 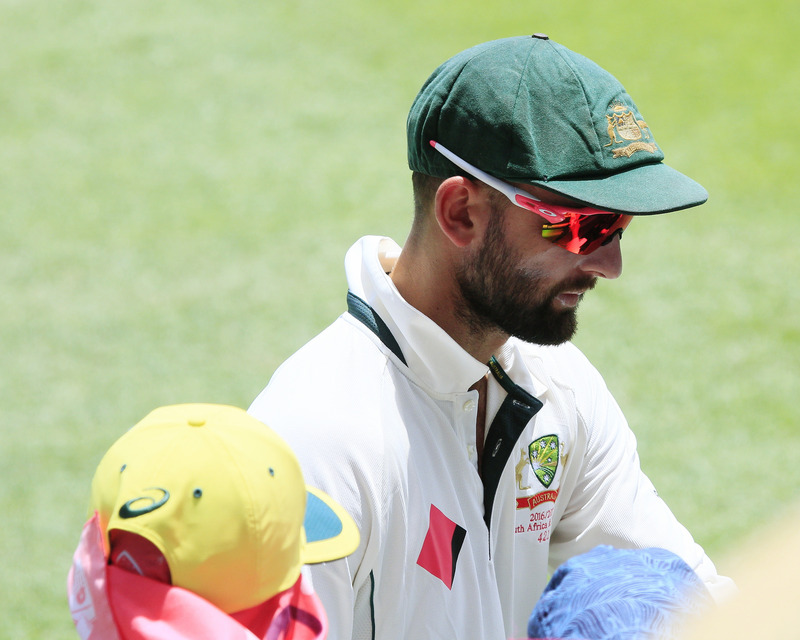 Are Glenn Maxwell, Shaun Marsh and Mitchell Marsh the real deal? All have flashed potential but have yet to show the test match consistency needed to nail down a permanent spot in the lineup. Is the Australian performance a reflection of the level of competition in the World these days? I actually don’t think this is the case. India in India is one of the great tests in today’s game. Ashwin and Jadeja on their home pitches are a very difficult proposition. One thing I do know. Australian fans certainly feel better about this side than they did towards the end of 2016. Perhaps Steve Smith will be more like Mark Taylor, Steve Waugh and Ricky Ponting than Allan Border. I think Allan Border was a special player but the circumstances under which he captained the Australian side were difficult and definitely a rebuilding period. The jury is still out on whether the rebuild is almost completed or whether it is only beginning. Next exciting episode will be on Wednesday, 19 April 2017 titled ‘Do long term contracts ever work in the NRL? Jason Taumalolo vs Daly Cherry Evans’. This entry was tagged Australia, Cricket, India. Bookmark the permalink.